Several dozen protesters gathered this past Friday at Mason Square in Springfield, chanting What Do We Want? Affordable Housing! When Do We Want It? Now! 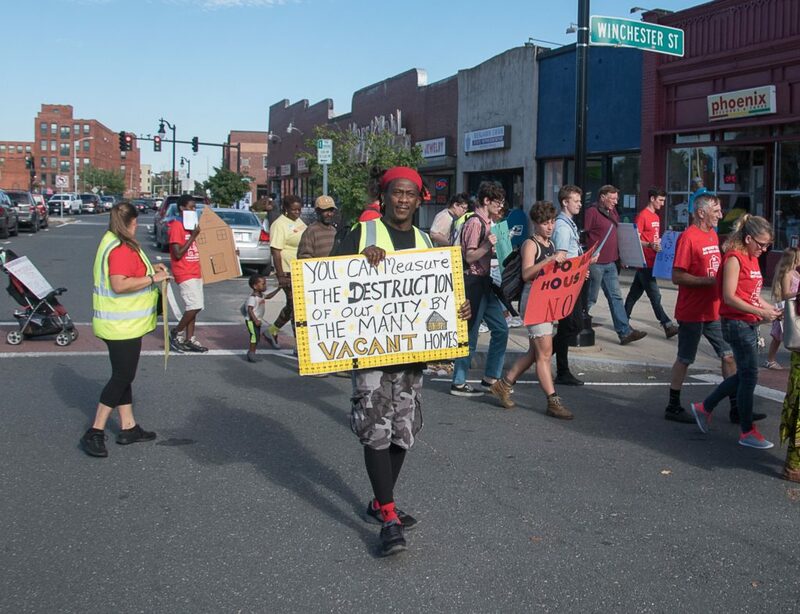 and carrying signs down State Street — through one of the city’s most blighted neighborhoods — to Court Square in the heart of the downtown area. 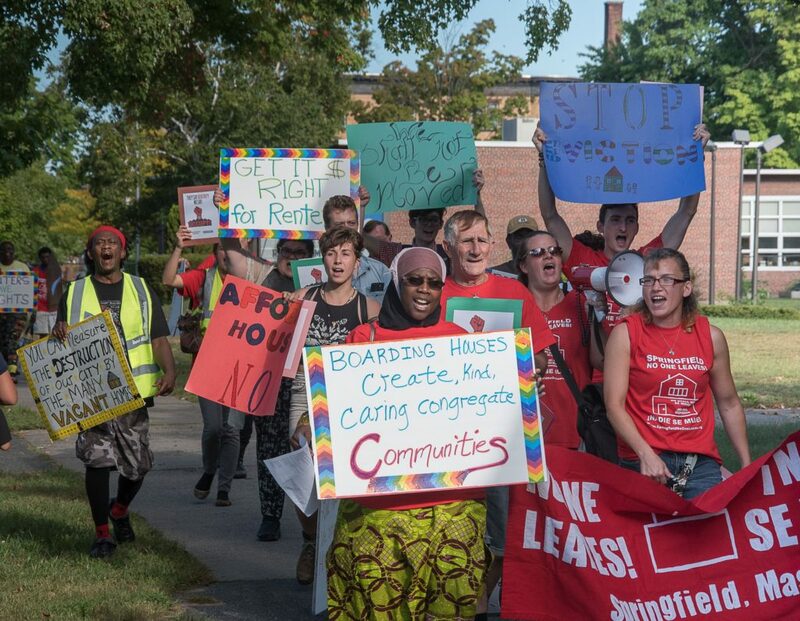 Organized by Arise for Social Justice and No One Leaves — Springfield, it’s no coincidence that the rally is a stone’s throw from both City Hall and the courthouse where eviction cases are heard. 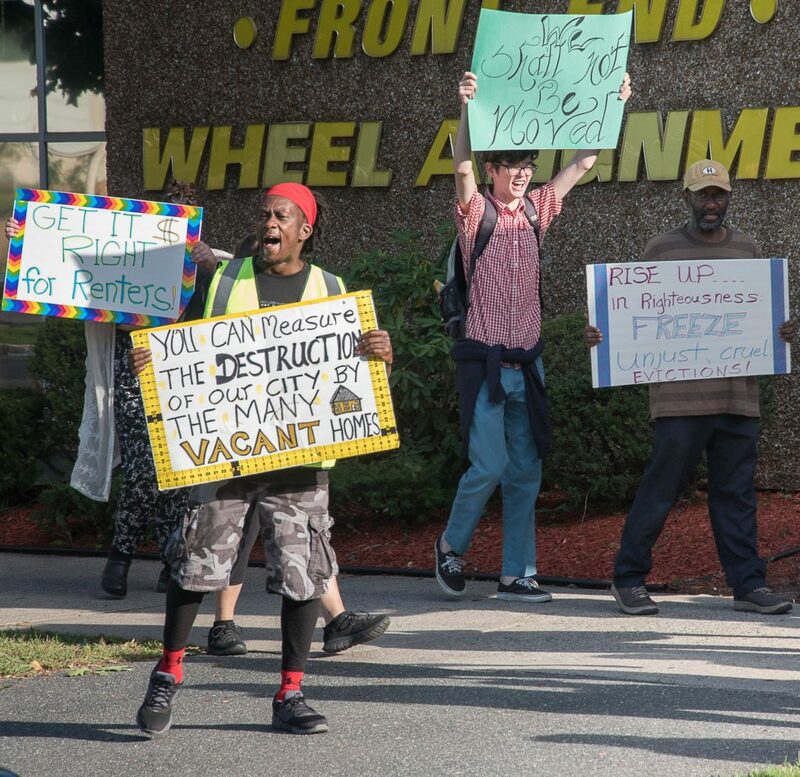 The march was part of a National Renters’ Day of Action, a grassroots campaign demanding affordable housing and an end to what the advocates have called “an epidemic of evictions” that leave many struggling families on the brink of homelessness. In Springfield, a third of the population lives in poverty, according to the U.S. Census Bureau, with the median household income around $37,500. Meanwhile, the average rent is upwards of $850, according to rent-rate aggregators rentjungle.com, depotofnumbers.com, while MyApartmentMap.com says average Springfield rents are pushing $1,000 per month. That means that nearly a third of the average Springfield resident’s household income is consumed by rent. Among housing advocates, a good rule of thumb is to use no more than a third of your income to cover housing expenses which includes rent as well as heat, water, and electricity.